It would appear that someone at Google isn’t going to stop mapping things until they have every square inch of this planet and beyond sat on an Android device for our delectation. This latest release of Google Maps, up to version 6 now, illustrates that point perfectly by taking Google Maps one step further than the awesome features we have all become so accustomed to over the years. See, not content with helping people find what they need on a map, or even helping them get there using turn-by-turn mapping, Google is now setting its sights on taking Google Maps indoors. That’s right, inside. Opposite of outside. 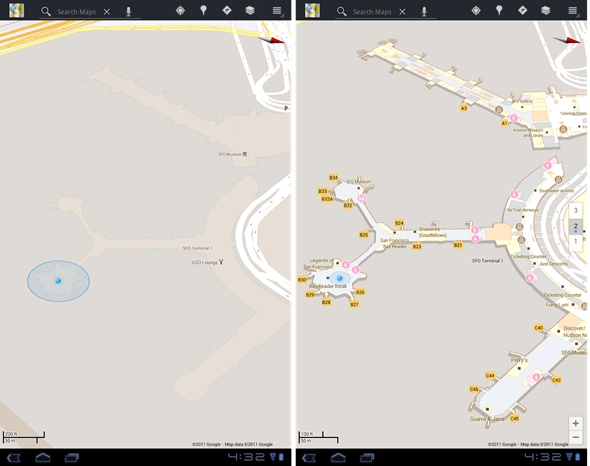 If you happen to be inside a building which has map data available – you’ll need to be in certain airports, stores or shopping centers in the United States or Japan for that to be the case – then Google Maps will show you a floor plan of said building, complete with your location and orientation. It’s just like you’re outside, except, well, you’re not. If you live near an Ikea in the United States then this should be available to you soon as the furniture retailer has signed up to map all its stores for Google Maps. What’s even more impressive is Google will be allowing retailers to upload their own floor plans to the service in the future, meaning that internal maps should begin to grow rapidly once the service gets out of its infancy. Unfortunately, right now only Android-toting map lovers can get in on the action, though we would expect iOS users to get an app update at some point also. Until then, you’ll just have to get lost in the department stores live everybody else! 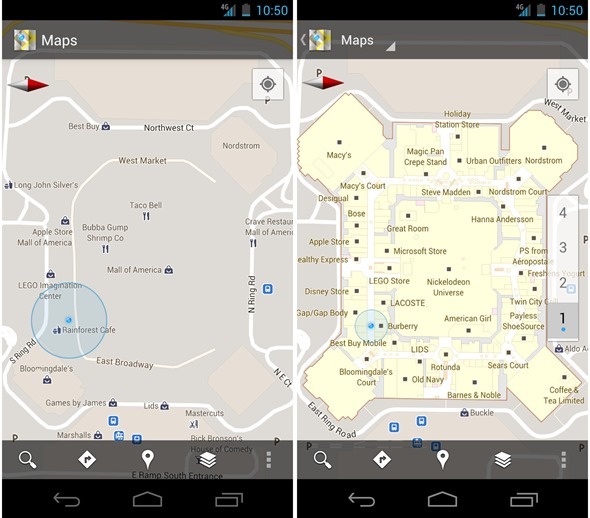 You can download Google Maps 6.0 from the Android Market now.